This is a healthy delicious meal that my whole family enjoys. I especially feel good making a meal with so many vegetables in it. I have adapted this recipe from Allrecipes.com. I love finding recipes from this site. The star rating system and comments are very helpful. 1. Cut the chicken into small cubes, place in a ziplock bag. Add cornstarch and toss to coat. Add 2 Tbl soy sauce, 1/2 tsp ground ginger and 1/4 garlic powder. Toss to coat. It looks really slimy so I didn't take a picture. Refrigerate for at least 30 minutes. 2. Start cooking your rice. I like using jasmine rice but you can use whatever kind you like. Just don't tell me if you use minute rice...yuck! Since rice usually comes in a bag try storing it in a Tupperware container. Cut the directions off of the bag and tape it to the side. That way you always know how to cook your rice and are not messing around with an open bag. Another great thing to do is store a measuring cup right inside. 3. Chop up as much broccoli and carrots as you like. Make sure you chop the carrots up pretty thin so they cook faster. Open up and drain the baby corn and water chestnuts. 4. Heat 2 Tbl of oil in a skillet over medium high heat. Stir fry chicken until no longer pink, about 3-5 minutes. Cut open the largest piece to check for doneness. Remove the chicken and keep it warm. 5. Add 1 Tbl of oil to the skillet. Stir fry Broccoli and carrots for 4 minutes. 6. Toss in the baby corn and water chestnuts. Stir fry for 2 minutes more or until all the veggies are crisp tender. 7. Put the chicken back in and add the chicken broth. 8. Next stir 2 Tbl corn starch into 2 Tbl soy sauce. Pour it into the skillet. Mix everything together and cook until thickened and bubbly. 9. Serve over your delicious rice. Add more soy sauce at the table if desired, I do! Do you serve your family Asian food? It is a great way to get kids to gobble up their veggies. This and sesame chicken is pretty much all I make, but I would like to change that! 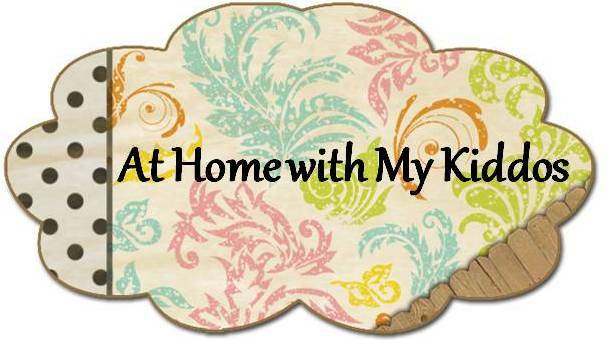 Come back tomorrow for homemaking ideas on WELCOME HOME WEDNESDAY!